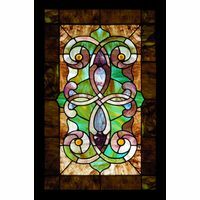 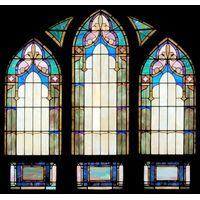 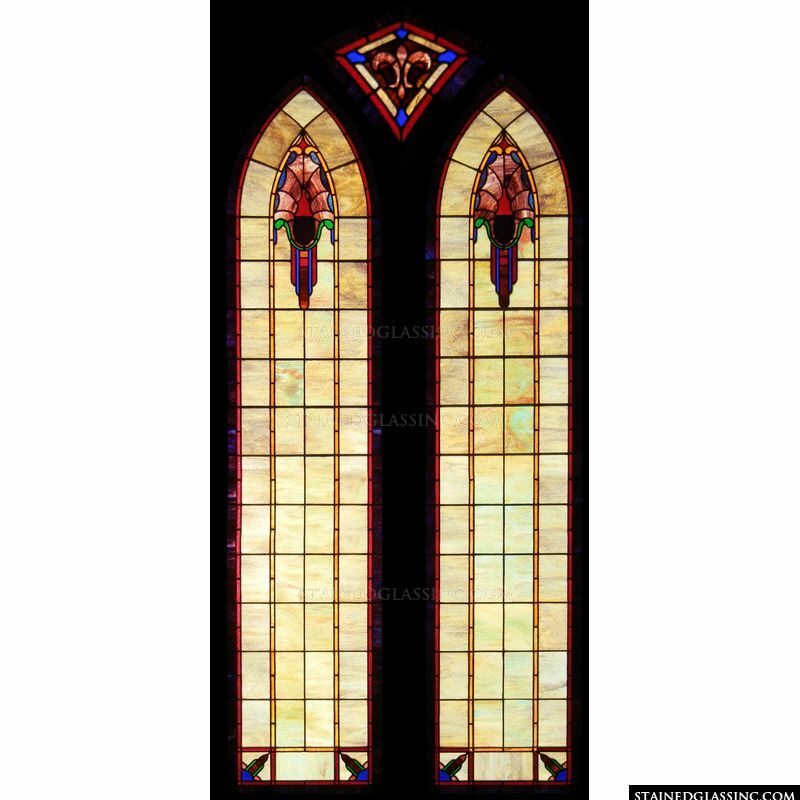 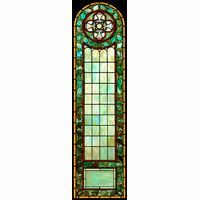 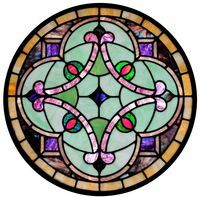 These arched vertical stained glass panels feature a simple geometric design and topped with a more elaborate ornament. 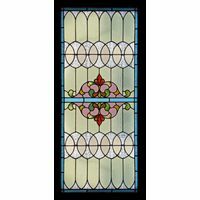 The smaller window in this set features a Fleur delis and bright colors. 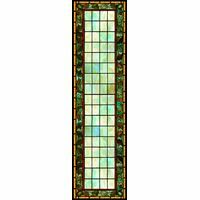 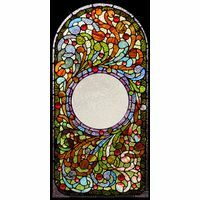 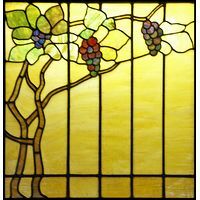 Use this stained glass set in your home, business or office and attract onlookers for generations.